California’s winter is very pleasant. Especially in Central and Southern California it reminded us more of spring than winter. Of course, at higher elevations in the mountains there’s real winter, too. But we want to talk about hiking here. 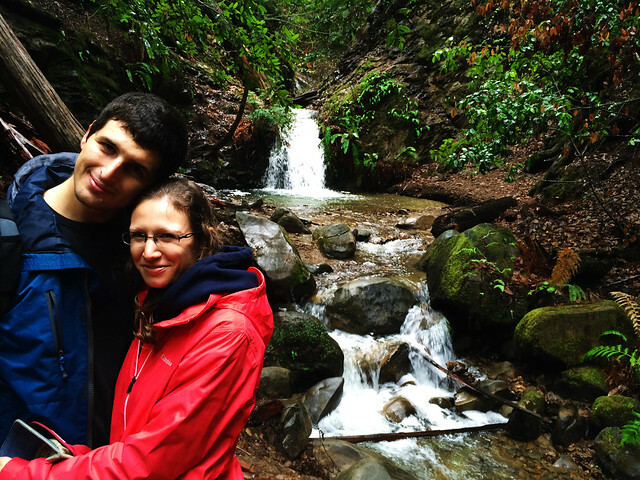 🙂 What we loved the most about our winter hikes in California is that after some rain everything is lush green and there’s water in the otherwise dry creeks and waterfalls. In winter everything comes alive! Coastal hikes are also very pleasant. Unlike in summer, fog is not common in winter but there’s a lot of sunshine – now who can resist that? We couldn’t. So let us show you our favorite winter places for hiking. 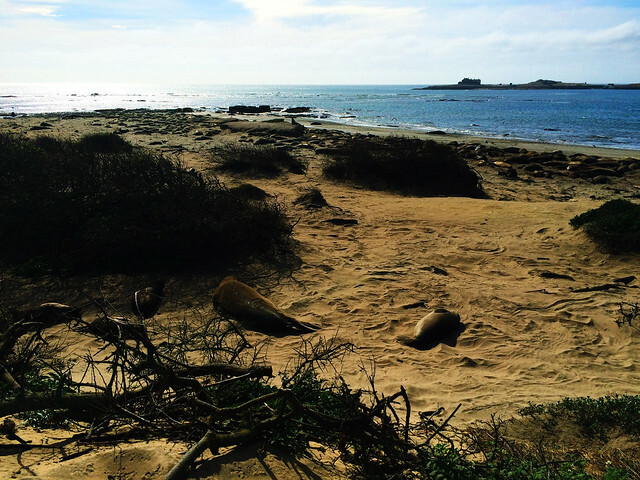 Año Nuevo is the favorite resting and mating place of elephant seals. You can see them year round there but winter is the mating season so it’s full of cute elephant seal pups by January/February. During winter months, no one is allowed to hike individually in the park, but there are regular ranger led public walks. We love observing wildlife in their natural habitat and this was an enjoyable occasion to observe the elephants seals and their pups from a safe distance. Just make sure to reserve a time for one of these walks a couple of weeks ahead (you can do it here) because they are very popular. Our favorite coastal park in California! It’s quite large compared to most of the other coastal parks and it has everything from beautiful beaches to wild coastal panoramas and pine woods. That means a variety of astonishing day hikes or half day hikes. 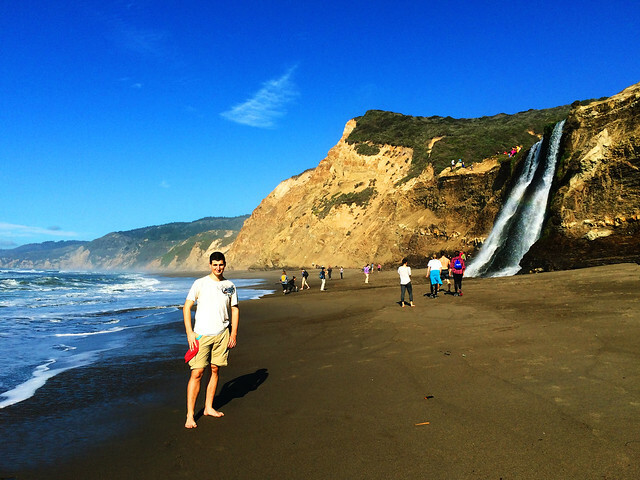 It’s also special because of Alamere Falls: a waterfall right on the coast and its water is flowing into the ocean. We are aware of only one other place where there’s a waterfall like that in California: McWay Falls in Big Sur. 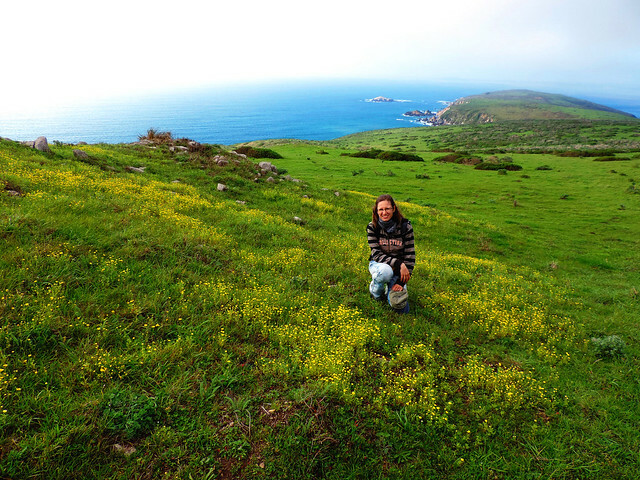 Tomales Point Trail is our favorite scenic hike at Point Reyes. It has astonishing coastal views all the way and there’s high chance you will bump into wildlife especially elks on your way. Palomarin Trail leads you to Alamere Falls and there’s several hidden lakes to explore as well on the way. Laguna Trail starts in a beautiful pine forest and leads you to Limantour Beach. You can choose Muddy Hollow and Bayview Trails on your way back to make a loop. Limantour beach is an awesome sunset spot and is accessible by car as well. 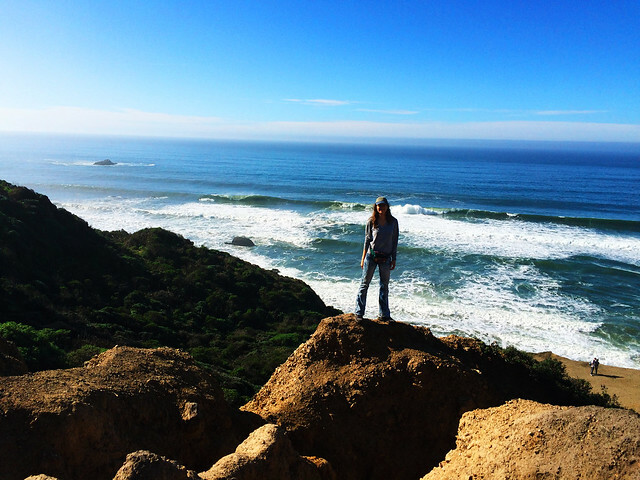 Read our detailed hiking guide to Point Reyes here! 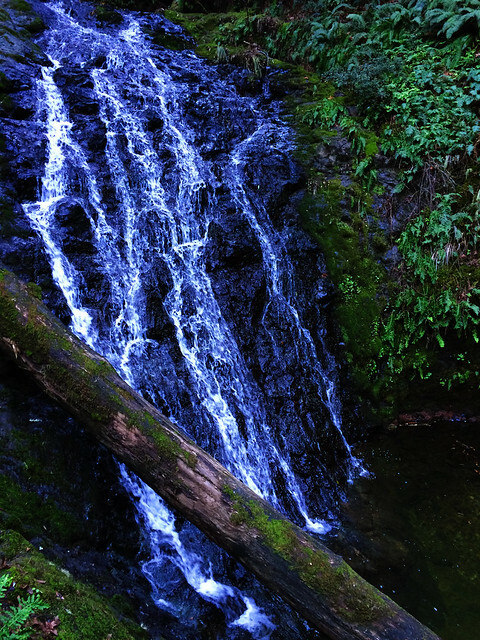 Redwood forests become lush green during winter and they are full of hidden waterfalls and creeks. You usually don’t see any sign of water in these creeks during the year but that changes after winter rains – another reason to be happy about them. Just be prepared for morning chill in the redwoods in winter – but it can be very pleasant later during daytime. 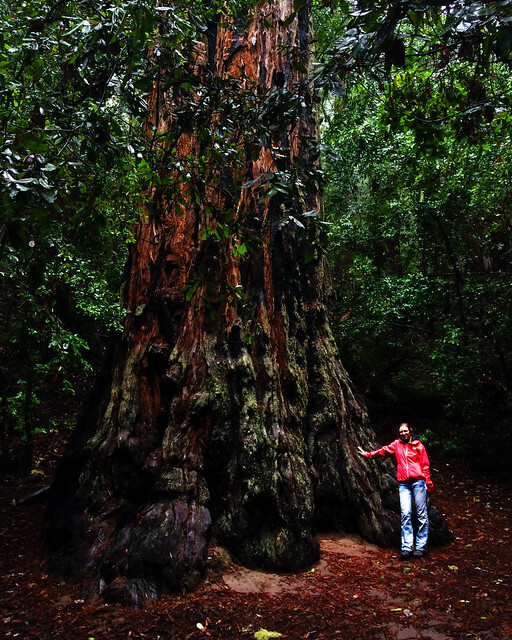 Our favorite redwood park in the San Francisco Bay Area! 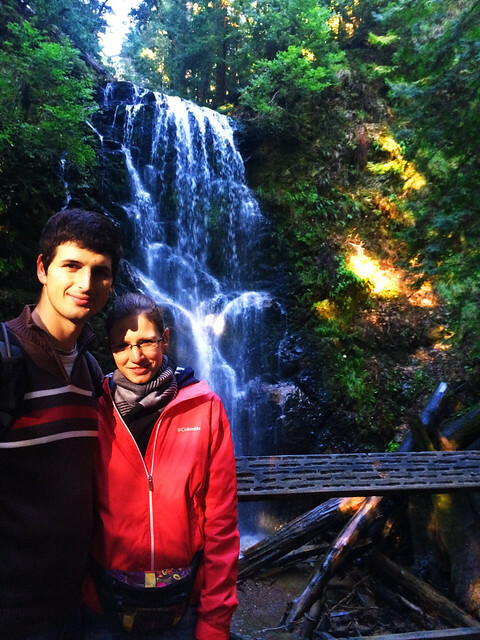 Our favorite hike is a day hike in the old growth part of the forest passing by 3 nice waterfalls (Berry Creek Falls, Silver Falls and Cascada Falls) on the way. We started on Sunset Trail and made a loop by hiking back on Skyline-to-the-Sea Trail. Berry Creek Falls is the biggest waterfall in the park and it’s the most beautiful after winter rains. Redwood Trail is a very short (0.5 mile) nature trail and it enchants you with the tallest redwoods in the park. Portola is a small park close to Big Basin and there’s a bunch of nice short trails in the redwood forest. It’s a perfect getaway located very close to the San Francisco Bay Area. 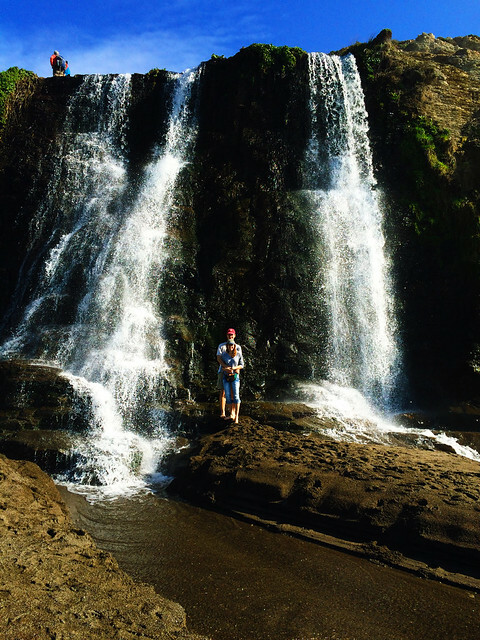 Hiking along Pescadero Creek is charming and our favorite hike is Tiptoe Falls through Old Haul Road and Iverson Trail. Actually, this is the only trail combination with access to Tiptoe Falls during winter because bridges are seasonal and most of them are removed at the start of the rainy season. Old Tree Trail is a short and pleasant walk which leads you to the oldest tree of Portola Redwoods State Park. We moved to the Bay Area in June and by December we got used to the view of yellow and brown hills. We haven’t expected that after a week of rainfall the scenery will suddenly turn into a lush green wonderland. This is what we loved the most about winter here! Those green hills reminded us of the Shire from the Lord of the Rings and we explored several small state parks and regional parks in the San Francisco Bay Area. Mission Peak (770 meters/2520 feet) rewarded us with great views of the East Bay! There are several trails to the Mission Peak Summit. We took the 10 miles long trail from Sunol Wilderness that is a wild and quiet one compared to the other routes. Just a perfect day hike. We did a full day loop in Wildcat Canyon. We started on Wildcat Creek Trail to Little Farm – this first section of the loop was in the forest and there was no scenery. But from Little Farm we headed to Nimitz Road through Laurel Canyon. This is a steep hike up to the hilltop, but it rewarded us with great views. And great views were still there as we continued on San Pablo Ridge Trail and ended the loop on Belgum Trail. 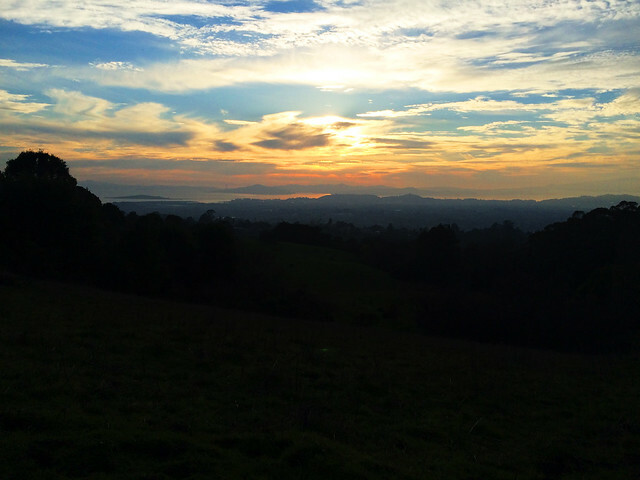 Finally, we’ve seen a beautiful sunset over the East Bay. Napa Valley is a little bit north of San Francisco and it’s very famous for wine. But wine tasting is not the only option here as there are several charming little parks for hiking, too. 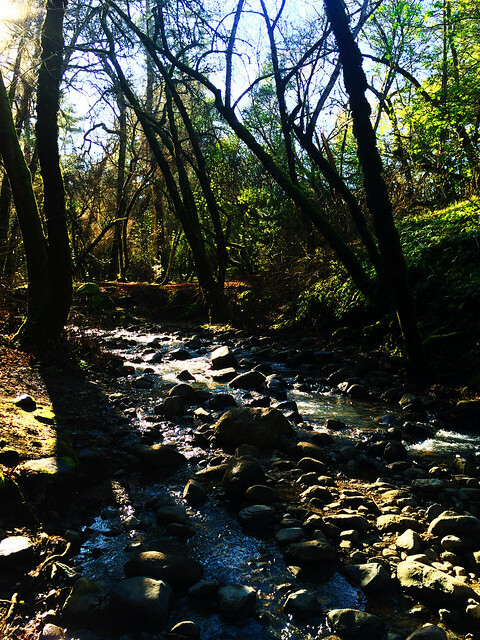 Our favorite is Bothe-Napa Valley State Park where we hiked along a nice little stream in the redwood forest (on Ritchey Canyon Trail and Redwood Trail). 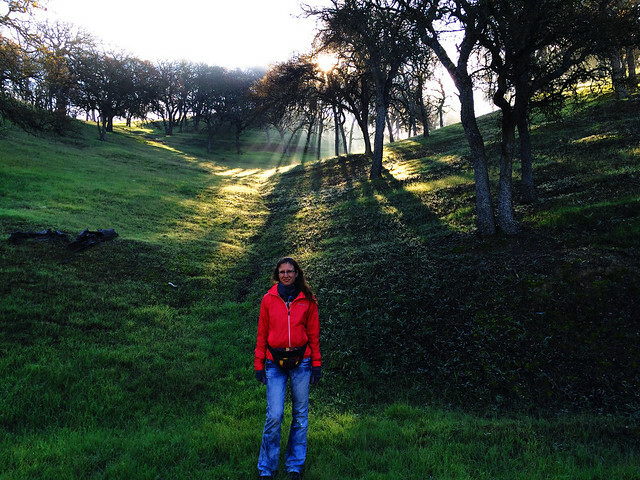 Hiking on the green hills with views of charming Lake Del Valle is another very nice winter hike option in the East Bay. 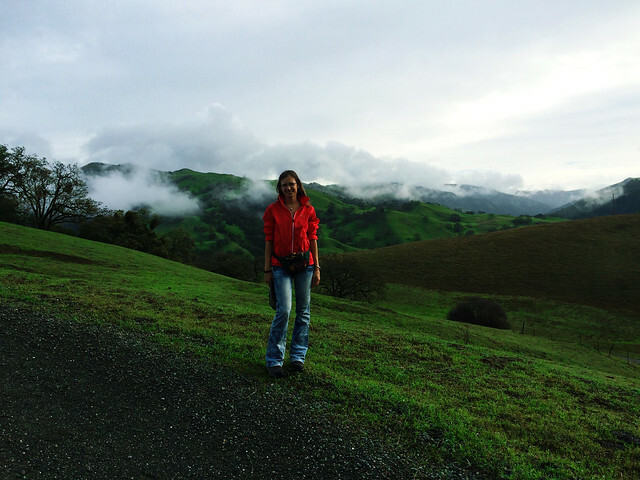 We started on Ridgeline Trail that has beautiful views from the hilltops then continued on Shallow Bay Trail and took the East Shore Trail along Lake Del Valle on our way back. Another East Bay park with a nice lake! We did a loop around Lake Chabot through the West Shore Trail – Bass Cove Trail – Columbine Trail – Quail Trail – Live Oak Trail – East Shore Trail route. Most of this hike is along the lakeshore but Quail and Live Oak Trail offer some nice panorama of the surrounding hills, too. Mount Tamalpais State Park is just north of San Francisco and it has breathtaking panoramas, deep canyons, redwoods, smaller lakes and waterfalls. And winter is the perfect waterfall season here, too. 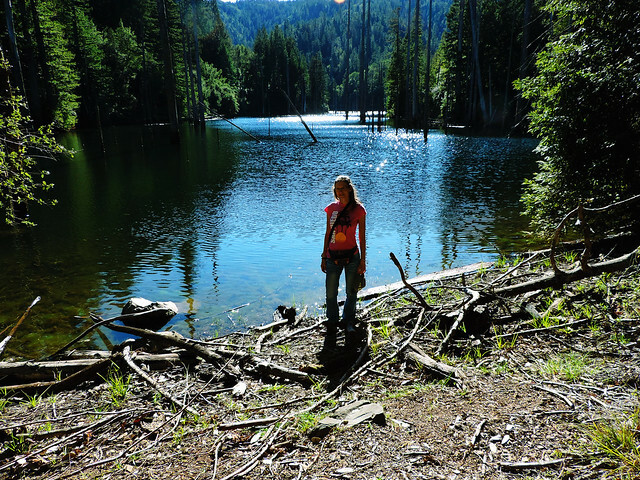 Cataract Trail is along the charming cascades of Cataract Falls all the way and it ends at Alpine Lake. This 5.4 miles round-trip is not even a day hike, but time just flies by when I start taking pictures at every second step. 🙂 Another perfect half day hike leads to Carson Falls (a seasonal waterfall) and Kent Lake which is special because of the dead tree trunks in the lake. It’s impossible to mention all the beautiful places. 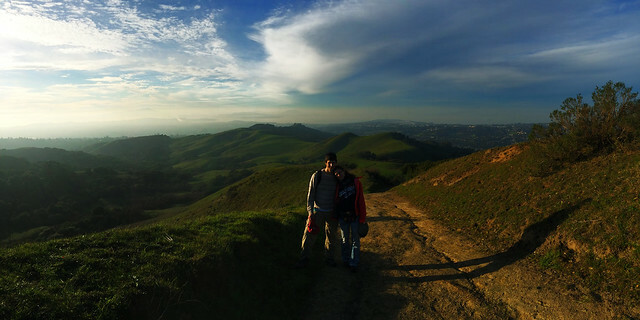 Even if we only talk about places in and near the San Francisco Bay Area where we hiked the most during winter time. Would you add anything to our list? Don’t hesitate to share it! We’ve started this series to show you our favorite California hikes for all the seasons. You can get ideas for the best early spring, late spring, summer and autumn hikes, too.